Those who shy away from the sun, avoid milk products, maintain a vegan diet or are overweight may be familiar with the effects of vitamin D deficiency. Typically called the sunshine vitamin, vitamin D is produced naturally in the body in response to skin being exposed to sunlight. It can also be consumed via a few foods, like some fish, egg yolks, fortified dairy and grains. A vitamin D deficiency is also a known consequence of obesity, due to an obese person’s larger mass diluting the standard vitamin D level. The larger the mass, the more vitamin D required to maintain the correct vitamin-to-body mass ratio. Given the rise of obesity in the United States, investigating the consequences of this condition has become a key interest of medical research. On Dec. 14, 2015, a team of Johns Hopkins scientists published a study in the journal Obesity Science and Practice detailing a link between vitamin D deficiency and poor outcomes of bariatric surgery. 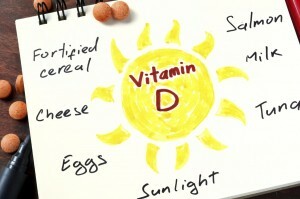 The aim of the study, led by Leigh Peterson, a postdoctoral research fellow at the Johns Hopkins Center for Bariatric Surgery, was to investigate the association among vitamin D levels, seasons, geography and adverse surgical outcomes. The study involved a comparison of over 930,000 surgical cases from 2001 to 2010 of patients between the ages of 18 and 65. The surgical cases varied in the season during which the bariatric surgery took place and the geographical latitude of the hospital where the surgery was conducted. These selections were made to ensure that the study involved patients with varied vitamin D levels by utilizing the principle that vitamin D is primarily photoproduced by exposure to sunlight. Patients that had surgery during the summer and those who had surgery closer to the equator were assumed to have high vitamin D levels. Complications involving delayed wound healing, nonhealing wounds, infections and rupture of wounds were only discovered in 1 percent of cases. Of those, 16 percent were surgeries performed during winter months, and only 7 percent were from summer months. This finding provides a potential link between reduced sun exposure, which is typical of the winter season, and adverse surgical outcomes. An additional hallmark of surgical complications considered was an extended hospital stay, which occurred in over 300,000 cases. A disproportionate amount of those cases was found to be done at hospitals far from the equator. This provides further evidence of a link between vitamin D levels and the success of bariatric surgeries. While a survey of surgical cases is not sufficient evidence for recommending a vitamin D regiment as a means of preventing surgical complications, the study has unveiled a curious finding that will be further explored. Nearly 200,000 bariatric surgeries are performed annually in the United States for approximately $20,000 each. Those numbers alone make it very clear that improving surgical outcomes would benefit people nationwide. 2 Comments on "Vitamin D Deficiency Linked to Weight Loss Surgery Complications"